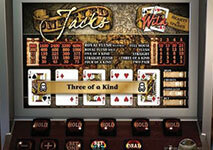 More and more players opt for playing real money video poker whenever they visit a land-based or a web-based casino. The popularity of this exciting game is increasing rapidly due to the fact that presently a number of exciting versions can be played in various casinos. Its simple yet exciting gameplay is another aspect of the game which draws the attention of many players all over the world. This game can be a great source of entertainment and it can even fetch you a small profit, providing that you apply a strategy. However, it is really important, before you create a real money account in a certain online casino so that you can play video poker, to consider the major aspects of the game. The reason why it is a good idea to take a look at every detail of the respective version is that even the smallest change of the rules directly influences your online gaming experience and odds of winning. If you want to be able to fully enjoy video poker, you need to learn as much as possible about the variations that are beneficial for you. Even though every video poker game has its pros and cons, some versions are truly more beneficial than others. Many players don’t bother looking this matter through as they believe that every video poker game gives them the same chances of winning. This couldn’t be further from the truth due to the fact that the winning combinations and the pay table can differ from one casino to another. Therefore, it is essential to take into account these two factors prior to playing. When it comes to video poker, there are some universal rules which you can remember and apply in every video poker game, regardless of whether it is played on a video poker machine or online. 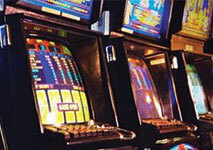 In general, the most advantageous video poker games can be played on full pay machines. These games are usually referred to as 9/6 games because of the pay table they feature. In them, the payout for a Full House is 9/1 and for a Flush – 6/1 which is the reason why they are abbreviated as 9/6. Another important thing to consider whenever you play video poker for real money is the available bonuses it offers. It is advisable to always seek a version which features a bonus round or any other promotion that gives you an extra chance of increasing your winnings. In order to be able to make the most of every video poker game and get entertained like never before, there are a few things that should be considered prior to playing. First of all, you should always take your time to determine the exact amount of money you can use for entertainment. After you have made up your mind regarding this matter, you should divide your bankroll into several sections, depending on the number of sessions you intend to play. Also, it is really important to set a loss limit which will prevent you from losing more money than you have initially planned to. As strange as it may sound, it is always a wise decision to also limit yourself in terms of winning by setting a win goal. The reason why is that this way whenever you win, you will be able to retain your winnings. At the end of the game you will be left with feelings such as joy and excitement from the whole gaming process, however you will also have a small profit. This way you will not only get a rewarding experience from the game but also you will leave the casino with extra cash in your pocket. 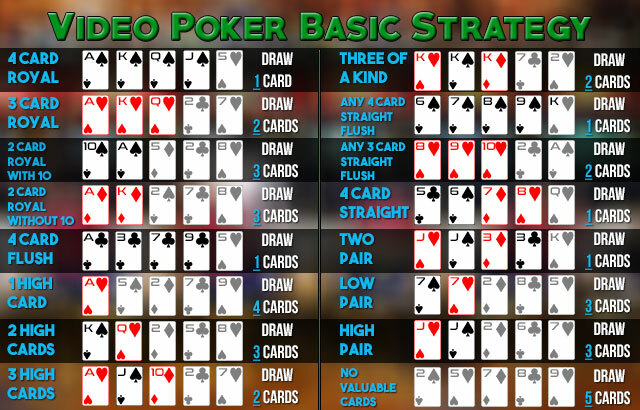 Another important thing which is worth discussing when it comes to playing video poker for real money is the strategy. If you take your time to determine in advance whether you will apply a risky or maybe more conservative approach, you can successfully increase your chances of winning. This is exactly what makes video poker a top game as it gives players the opportunity to improve the game by putting their skills to the test. At first glance the decision which card to discard and which one to hold might seem easy, however proficient video poker players know that in some cases it is really hard to decide whether to go for a Royal Flush or settle for a lower winning combination. Thus, applying a strategy is essential and it enables you to enjoy the game even more as it influences its outcome greatly. Nowadays, there are various strategies suitable for all types of players, regardless of the experience and gaming style one might have. The fact that video poker requires a strategy is the main thing that sets the game apart from slots as the latter is entirely a game of chance. So far we focused predominantly on video poker games which you can play on some of the many video poker machines located in various brick and mortar casinos. However, there is also another way to enjoy video poker which is considered by many players even more convenient and exciting. Presently, you can play video poker for real money in a number of online casinos and experience the game at the most comfortable time and place for you. Playing in an online casino is very secure, easy and convenient as in most cases, all you need to do is to simply create a real money account and make a deposit. Every reputable online casino offers a wide range of reliable payment solutions which you can use in order to transfer funds securely and instantly. The available payment options depend on several factors such as the country you reside in and the online casino of your choice. The processing time for making payments also differs from one payment method to another. Presently, you are given the opportunity to make deposits instantly by using some of the available e-wallets. This way you can fund your casino account within a few minutes and play video poker whenever you wish. Video poker is a casino game which gives you the opportunity to influence its outcome by applying a strategy. By playing this game for real money, you can certainly increase your level of excitement and enjoy the thrill of anticipation it features. However, before playing video poker for real money, it is best to try the game in fun mode. Nowadays many online casinos give you the chance to enjoy the game in practice play, meaning that you don’t have to risk your own funds in order to get familiar with its rules and gameplay. This way you also have the opportunity to get acquainted with the virtual layout of the game and its buttons, without having to worry that you might lose money in the process. Also, when you play video poker in fun mode you can practise your strategy as many times as you wish and as a result, you will be able to fully master it. Once you feel confident enough to risk your own funds, you can open a real money account at a reputable casino and get a high level of excitement. Video poker is a great way to have fun and diversify your daily routine. 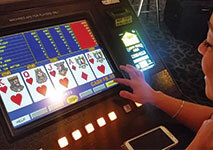 You can find the game in a number of brick and mortar casinos as well as online. It is a skill-based game and as such, you should keep in mind that its outcome can be influenced by a reliable strategy. Before you decide to play video poker for real money, you should have a reliable plan not only for your moves but also for your funds.